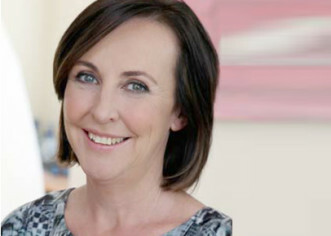 Our newest CALI (Community Action Leadership Inspiration) award winner is Catherine Knox, CEO of the Gidget Foundation. Following her personal experience of perinatal anxiety and depression, Catherine has pursued a passionate interest in the area of mental health and women’s life experiences. Q: Tell us about the Gidget Foundation. Catherine: The Gidget Foundation is a charitable organisation, which was established in 2001, after the tragic death of a young mother suffering from postnatal depression. She was a vibrant, engaging young mother and her nickname was Gidget. Her family and all those close to her, were unaware that she was suffering so desperately. Every year in Australia, a number of mothers lose their lives to this illness, while many other parents experience significant emotional distress. The Gidget Foundation is supported entirely through donations and receives no government funding. The focus of our work is education and awareness. 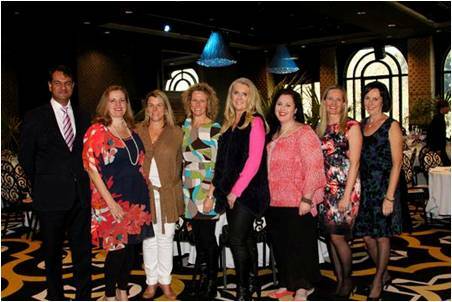 Representatives of the Gidget Foundation speak regularly at community and corporate functions. 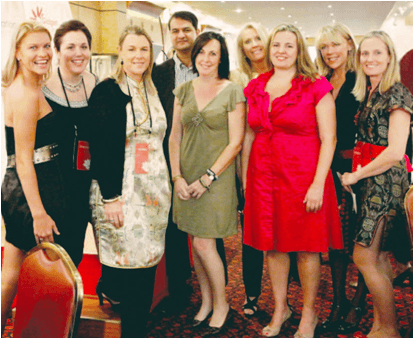 We also provide ongoing education to medical students, midwifery students, midwives and GPs, and have presented papers at a range of conferences. 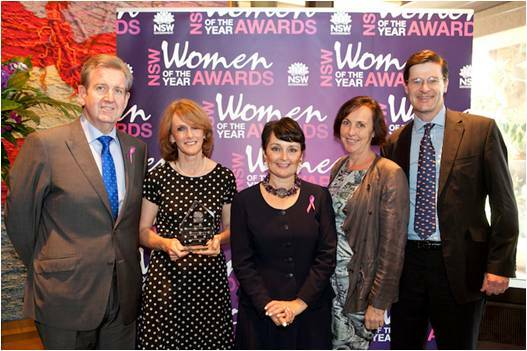 We work collaboratively to provide synergy with individuals and institutions, in supporting women with perinatal anxiety and depression. All funds raised are directed to programs supporting women during the perinatal period. 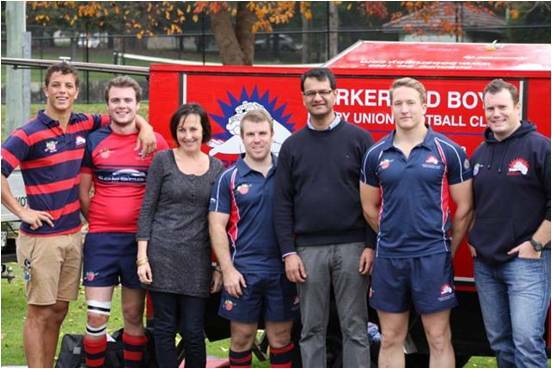 The foundation is closely aligned with a number of professional organisations. Our next big project is to create ‘Gidget House’, providing integrated care and support services to families experiencing perinatal anxiety and depression. We have produced a number of resources including a DVD, Behind the Mask; the Hidden Struggle of Parenthood and a book Beyond the Baby Blues both of which are now being used by professionals and the community around the country. The Gidget Foundation has also been working with a number of companies, to provide information and resources for parental leave packages. We have a partnership with Career after Kids to provide seminars on transitions in the workplace. The impact on the workforce, from people suffering from mental health problems, cannot be overstated. Q: What inspired you to get involved? Catherine: Following my personal experience of perinatal anxiety and depression, I have pursued a passionate interest in the area of mental health and women’s life experiences. I had no medical history of anxiety and depression so I had no self awareness when I became unwell. My husband and I experienced two horrible years of distress – rather dark and turbulent ‘groundhog days’ before I was eventually helped. My diagnosis came as an immense relief. I was not losing my mind – this was actually a known condition that had a name, which many people suffered from. My husband and I are both tertiary educated professionals. My husband is in fact an obstetrician, yet we were unable to understand what was happening to us, nor to access the help that we needed. How then must this impact on others who do not have the resources we had? In response to my experience, and in the hope of gaining some understanding, I completed a Masters in Gender and Cultural Studies from USYD. Around this time I was invited to join the Gidget Foundation – which I did with great enthusiasm. I have a passion for increasing awareness about perinatal anxiety and depression. I have since supported the creation of an educational DVD and co-authored Beyond the Baby Blues; the Complete Perinatal Anxiety and Depression Handbook. I am currently undertaking a Graduate Certificate in Social Impact through UNSW. 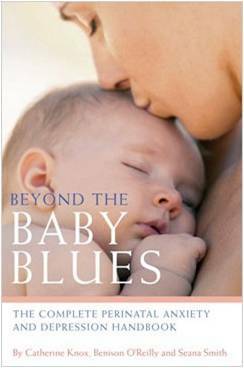 Beyond the Baby Blues co-authored by Catherine Knox with Seana Smith and Benison O’Reilly. I believe that knowledge is power. Through educating health professionals and the broader community, we have the opportunity to support parents of young children. Raising the profile of perinatal anxiety and depression, provides an environment where health professionals feel confident in helping young families navigate through the complexities of the perinatal period. Diagnosis and treatment are more straightforward, ensuring that mothers and fathers receive care and treatment that will eventually aid in their long term recovery. Q: Why should people know about perinatal anxiety and depression? Catherine: Previously known simply as postnatal depression, anxiety and depression during the perinatal period (from pregnancy to one year after the birth) affects nearly 20% of mothers and 10% of fathers. That’s around 50,000 families in Australia each year. Friends, communities and workplaces can also feel the impact. A mother is experiencing strong emotions which are impacting negatively on her ability to function in her usual way and have lasted for two weeks or more. This is accompanied by a lack of enjoyment or pleasure in life, and an inability to plan for the future. While pregnancy and the first year of parenthood can be a uniquely special time, it is also a time of great adjustment, and the impact is often underestimated in our society. While most parents manage the mixed emotions and physical demands of pregnancy and early parenthood, around 50% of parents do find adjusting to their new role challenging. Parents are also confronted by mixed messages from the media, parenting books and websites and even other parents. Often parents find there is a huge gap between their expectations of parenting and the realities they face. It is extremely hard for new mothers and fathers to admit that life as a parent is not unfolding as they had anticipated. There is still stigma and judgment within our society around the notion of a depressed or anxious mother. Mothers who are not functioning as they imagined they would, will often hide behind a mask of secrecy, fearful that they will be labeled a ‘bad mother’. It can also be very difficult for mothers and fathers to articulate exactly how they feel, and even harder to seek help. The good news is that perinatal anxiety and depression can be treated and parents do recover. Early intervention and emotional support enables parents to move on and enjoy this time with their children. Q: What advice do you have for families who think there may be a problem? Catherine: I adhere to the ‘chaos theory’ of mothering. It is grounded in the principle of the ‘good enough mother’. The reality of life is not reflected in the ‘cult of the perfect mother’ that is served up to us on a daily basis by the media. If parents feel that they are not functioning in the way they had hoped, if they perceive that their lives are overwhelming, that they are consumed with feelings of grief and anger and a lack of happiness, do seek help. A GP or a child and family health nurse is a good place to start. If you are not receiving the support you need, seek out another health professional who will help you. Treatment can be provided by a range of health professionals including a psychologist or psychiatrist, and will generally involve therapies and sometimes medication. Perinatal anxiety and depression can be treated, and parents do recover! Q: What is something that you are particularly proud of? Catherine: The Emotional Wellbeing Program at North Shore Private Hospital, funded by a grant through the NIB foundation. Based on the Clinical Practice Guidelines for the perinatal period (an evidenced based research document produced by Beyondblue). We have developed a model for screening and assessment of women during the antenatal period. A similar model is in place in the public sector, in various forms around Australia. Our program is the first of its kind in Australia to be run in a private hospital. We have professional support from perinatal psychiatrists, researchers and midwives. Women booked to have their baby at North Shore Private Hospital, have the opportunity to have an interview with a trained midwife. We are evaluating the program both qualitatively and quantitatively, and have presented our findings at national and international conferences. We have received overwhelmingly positive feed back from the mothers and our data shows that we are also helping those that require further support. We now have a program that can be scaled and replicated in many different settings. This development and implementation of this program has shown me, that with passion and the right people, we can do anything. Catherine: Every day I hear stories from women and doctors around personal struggles with perinatal anxiety and depression. As long as parents are struggling during this period, I will keep advocating for them. I also hear words of support for the resources we have produced and the program that we have run. Most important are the personal stories of recovery. It is wonderful when parents are finally able to enjoy their children and embrace their role as parents. Q: Do you feel there are rewards in your efforts? Catherine: I work with passionate, talented and professional people – it is a privilege to be involved with these individuals as we work together to support parents of young children. I know that raw, brittle feeling, the knot in the stomach, the grief, the anger. It has left an indelible mark on my soul. I hope my passion can help alleviate the distress of others who find themselves in this situation. The ultimate driver and eventual reward will be to manage the establishment of ‘Gidget House’. Here we will provide support and treatment for parents and families, whose lives have been impacted by perinatal anxiety and depression. We’re nearly there! Catherine: Giving a few moments of kindness to those around you including some words of support for new parents you might know. I believe that if societies are to thrive and flourish we need to live as part of a supportive community. Ask that new mother or father ‘How it is really going’…and listen to the answer! 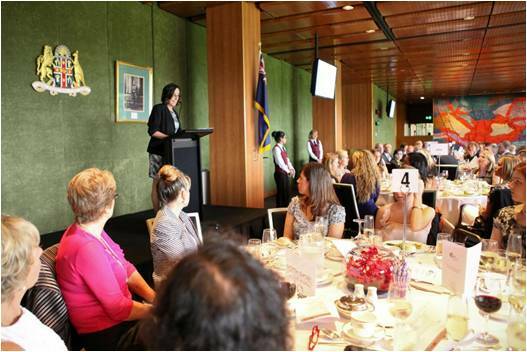 As well as her work with the Gidget Foundation, Catherine Knox’s mission also includes medical student and midwifery education, career seminars, and frequent representation to professional, industry and community groups. Catherine has a Masters in Cultural Studies (USYD) and a Graduate Certificate in Social Impact (UNSW).